Cassava, also called yuca, is an essential, starchy, root vegetable in tropical diets around the world. It's native to Brazil and has been part of the Caribbean diet long before Columbus "discovered" the new world. Cassava (yuca) still plays an important role in Caribbean cuisine today. 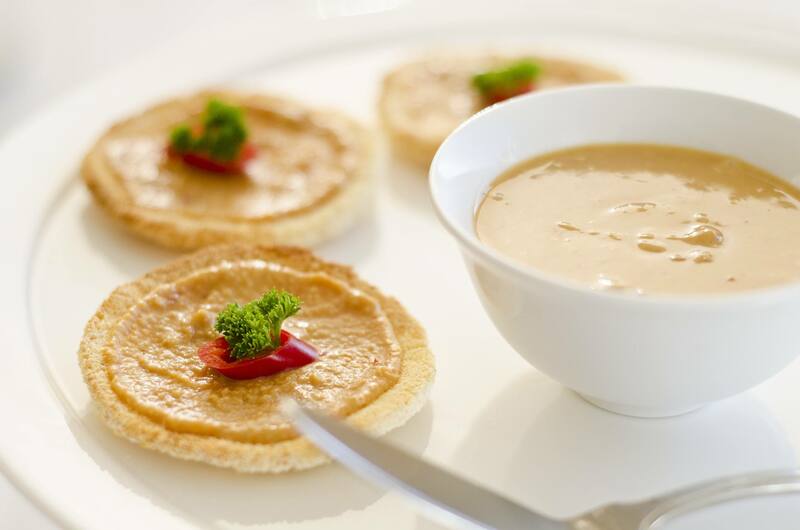 The recipes below reflect the diversity and different way of preparing the tuberous vegetable. The most common way Caribbean natives prepared and consumed yuca was in the form of a hard, unleavened, flat bread called casabe. The recipe consists of two ingredients: cassava and salt. It may seem easy, but it takes practice to master the technique. On the French-speaking islands the bread is called pain de kassav, and in the Spanish-speaking islands, it is called pan de casabe. Just about anything you can do with a potato, you can do with cassava. 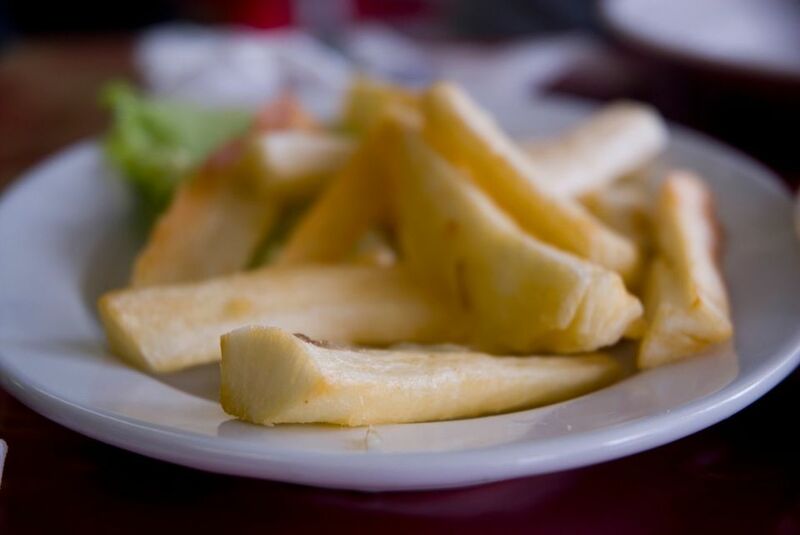 As a classic example, you can make yuca into fries. The taste and texture are very similar. These yuca fries are easy to make and are delicious served as a side dish or a snack. This savory cheese bread uses yuca flour instead of wheat flour, making it gluten-free. The finished product has a biscuit like quality. The yuca bread is traditionally baked into half-moon shapes, but there has been success baking them into round biscuit shapes, too. Note: Yuca flour is also called tapioca starch. This recipe is a take on a classic Cuban dish: yuca con mojo. This is a vegan dish that combines cooked yuca (cassava) and a mojo sauce of citrus juices, garlic and onions, and spices. Yuca con mojo is usually served as a side dish. Note: you can use fresh or frozen yuca in this recipe. Here is a very simple, yet tasty, way to cook and serve yuca. Roasted garlic and a pinch of nutmeg give this dish a sweet and savory flavor. This is Caribbean comfort food at its best. Creamed and mashed cassava is also versatile. For example, for a low-fat diet, you can use skim milk, for a lactose-free diet you can use soy milk. Also, fresh yuca isn't necessary; you can use frozen. Customarily, mofongo is made with unripe plantains. But, there is another unique way of making it: substitute yuca root (cassava) for the plantains. The results are exceptional. Mofongo de yuca is a delicious dish of mashed yuca seasoned with garlic, salt, and bacon. Bammy (bami) is a variation of cassava flatbread. This version originated with Jamaican natives. Bammies are very similar to casabe, but they are thicker and are usually soaked in coconut milk before frying, steaming or baking. Here's how to make Jamaican bammies. Another great substitution for the potato. Similar to potato chips, these cassava chips are excellent for snacks after school or on game night. Sprinkle with salt or serve with salsa or dip. Cassareep is the "secret" ingredient in making pepperpot. Essentially, it is the juice of cassava boiled until it reduces and caramelizes. The result is a thick brown liquid. Cassareep is another indigenous use for cassava (yuca).